Different size of trunks are the amazing addition to a country style room thanks to their worn and old look that gives the beauty to space. Designers propose to decorate new items and make them like vintage, thus they become nice points in the room. Try to play with stars, stripes, add the metal face and the result will please you. Of course, there is no better for country style home than using the truly country piece that differs from a décor. Look for the trunk that is distressed and looks perfect on the front. Perhaps, you will find a bright blue piece that will remind about the green sea in the addition with wooden wheels. Rustic table display may combine the functionality and the beauty in one piece. You can choose any type of the table: from some distressed variants to amazing and unique art pieces. For instance, you can buy the charming coffee table realized from wooden slices that looks country styled and global. To make it original add a shiny chrome base that can give the edginess to the typical country space. 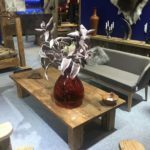 Also, another interesting variant is a modern rustic table that seems with cycled wood with an original metal base that is needed for keeping the piece from very rustic look. 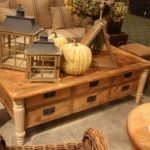 Combine such an original coffee table with charming candle holders. Thus, you can create the truly country angle at home. 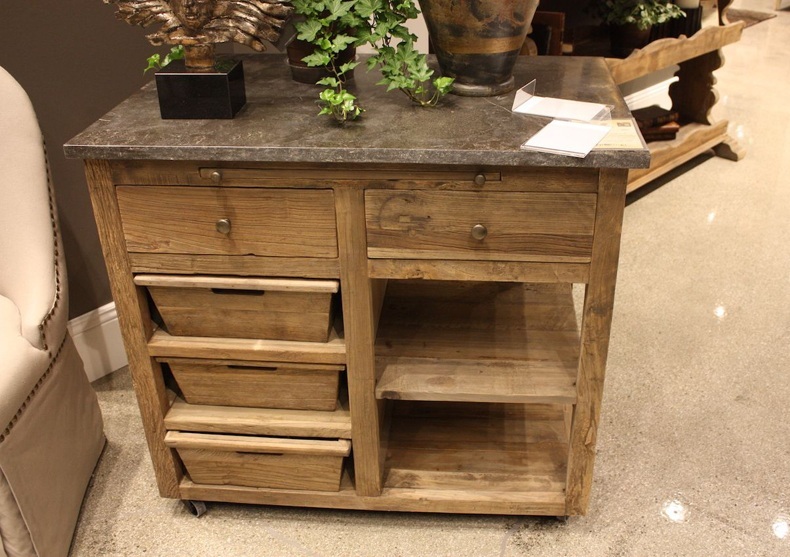 Functional rustic wood furniture will be useful in any space. For example, small country table with storage space can fit any room of your house because it gives extra storage and a hidden handling tray as well. Wooden planks are placed irregularly and have the original look with very natural color. Such neutral furniture could match with any interior. 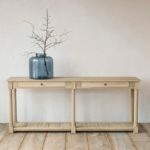 If you want, you can buy a little distressed table, the classic shape of which can work in any space and will give the country element to the interior. Make the amazing accent at your house with this little table. 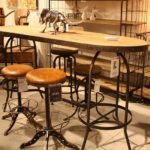 You may also add to your country style room rustic furniture and home decor with original finishing that matches stone and wood. Choose some table with storage space as drawers, shelves and sliding wooden bins that are nice because of the possibility to keep all items. Unfinished wood absolutely gives the country ambiance to space. Buying accessories are the simplest way to add country style to a room without spending a lot of money. Choose small pieces and their combination to change the room and try some country decoration. 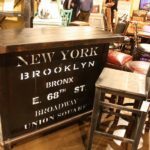 You can use everything: new items that look like old, vintage rustic style home decor, DIY elements and so on. For example, pay attention to the ottomans with the old-fashioned pattern, burlap-style furnishings. Thus, you have new pieces, but they offer a rustic decor to your house. Some people prefer charming candlesticks in beautiful neutral color that represent a truly country décor style. Combine them with wooden pieces in the natural palette, thus the room will become completed and very interesting. For some interiors, plain pottery pieces are all you need for adding the country décor into space. 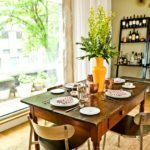 For instance, buy three vessels and place them at the top of the natural wood dining table, thus such simple accessories will give the rustic ambiance of your house. Fulfill these vessels with flowers or leave them empty, wildflowers will decorate the color of the space. Old-style clocks also play the role of rustic style décor and can look fantastic in the space. If you have decided to buy this clock for your living room then choose the item with roman numerals. Some defects like cracked finishing are popular for country style.